Circumnavigation Explained in the video of the Solar 2 Plane. It is so simple. Circumnavigation on a round earth has never been accomplished going North to South. Circumnavigation has only been accomplished in a west to east motion. Nobody has ever circumnavigated going north to south. My friend Eric Dubay shared this video for us to see. Circumnavigation from East to West. He makes my job so simple. 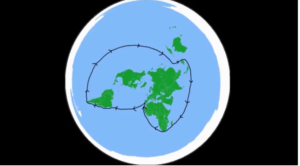 Probably the best proof I have ever seen to why one cannot circumnavigate a sphere.